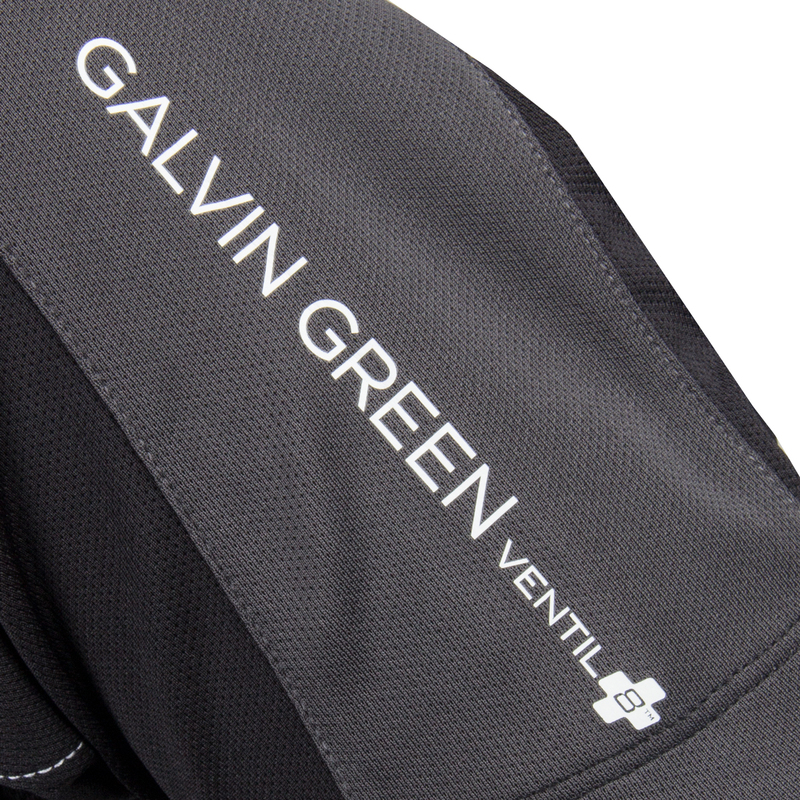 I had previously done a review of a Galvin Green Ventil8 golf shirt last Summer and came away more then impressed. Now this Summer I got the chance to review a whole ensemble by Galvin Green. The shirt; the Mike Golf Polo part of the men's Ventil8 Plus Golf Shirts line and the Parker Shorts (Men's Ventil8 Plus Shorts). First off I'll talk about colour. 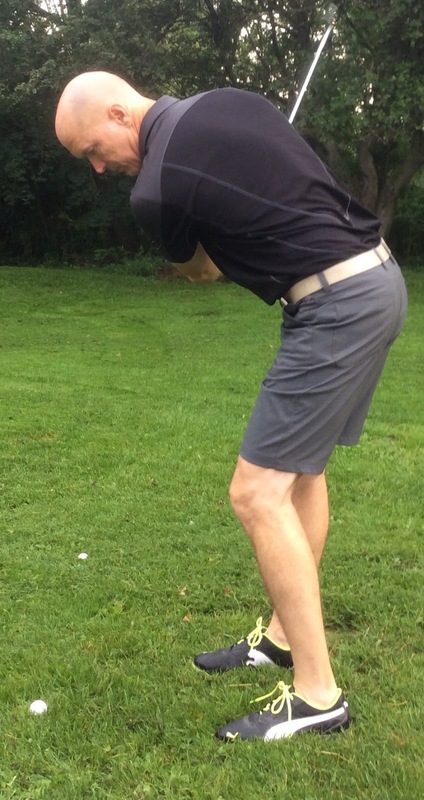 The Mike golf shirt was in black/iron grey/white and the Parker shorts in iron grey. Outstanding job by Galvin Green as the colour scheme is stylish, the iron grey on the collar and across the shoulders highlights the all iron grey Parker shorts. The white contour lines and Galvin Green down the back of the Mike Shirt is a perfect accent to this dark golf shirt. The technology in this shirt is ideal for the hot summer temperatures here in Ottawa. Who wants their golf shirt sticking to them during your swing. The shirt breathes from the extra ventilation obtained from body mapping technology and an extremely breathable Ventil8 Plus fabric(100% polyester). The Mike Golf Shirt also has a UV Factor 20+ protection, making the Ventil8 PLUS fabric the ideal choice for humid summer golf. The Mike is available in sizes: S-XXL. Most golfers will find there size when it comes to the athletic fit of a Galvin Green golf shirt. 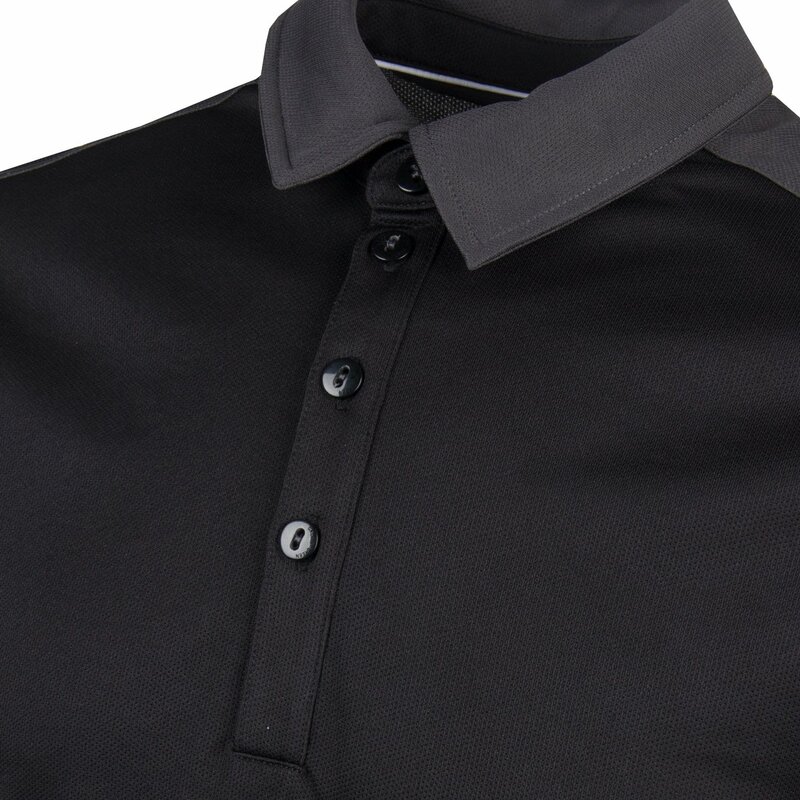 At a cost of about $140 USD Galvin Green golf shirts are on the pricey side and might not be for everyone but with all the technology and style Galvin Green puts into these shirts they are a must for any serious golfer. The Parker Shorts after wearing them extensively this Summer have to be one of if not the most comfortable golf shorts I've ever worn. Made from a 100% polyester stretch fabric the Parker shorts move with your golf swing, and have the amazing Ventil8 plus technology that will help keep you cool and dry during the warm Summer months. These shorts will keep you comfortable even if you end up playing 36 holes in a day. They come in 6 great colours and the iron grey ended up going well with other shirts I had in my closet. A UV protection finish of UPF 20 like the Mike Shirt has also been applied to the shorts to keep you protected. Available in sizes: 30 - 42 these shorts will fit you just above the knees and are a regular fit. For me a 34 was a perfect fit. The shorts will run you about $145 USD so like I said above these Galvin Green shorts are for the serious golfer.